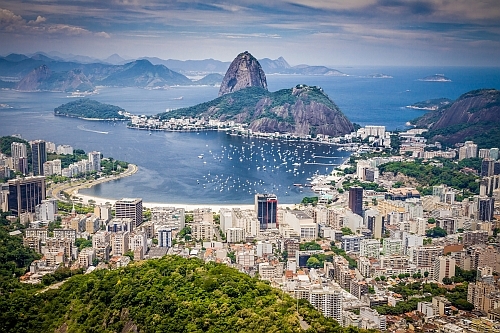 COPA Airlines has dropped the price of their late August and September flights from Toronto to Rio de Janeiro, Brazil down to $475 CAD roundtrip including taxes. The flights have 1 stop each way, in Panama City, Panama. You can also find flights from Toronto to Sao Paulo, Brazil for $449 roundtrip. NOTE: After June 17, 2019, Canadians no longer require a visa to visit Brazil. - Click on the departure date box to open up the calendar view and browse for cheap date combinations. - Look for the dates that are $499 roundtrip or less. - use the same dates you found on Google Flights. NOTE: From the Skyscanner search results, clicking through to BudgetAir ($463) doesn't always work. You may need to try the $475 option. ALSO NOTE: On Kayak, the cheapest price ($466) is usually showing up as the second search result. toronto, yyz, flight deals, copa airlines, south america, rio de janeiro, brazil, gig, sao paulo and gru. Head to the YYZ Deals Alerts Page where you can choose to be notified by e-mail, Facebook, Twitter, or RSS Feed the moment an amazing travel deal from Toronto is found. 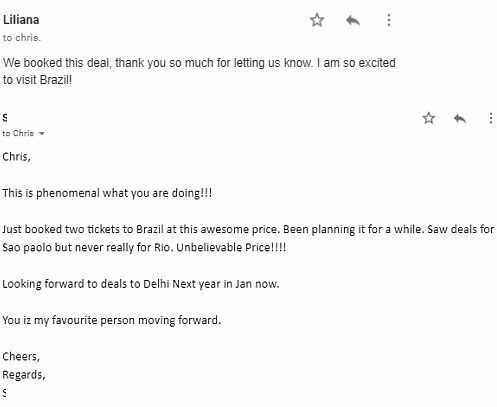 One Response to "Toronto to Rio de Janeiro, Brazil - $475 CAD roundtrip | Sao Paulo for $449"